The operations that quantum computers can perform are almost unfeasible with the old generation computing power. This is especially true with the protection measures of cyber threats that are on the rise. The rise of cyber attacks can be highly attributed to the amount of sensitive information stored online. Read more at https://ottomatik.io/blog/tutorials/mysql-backup/ . For cybercriminals, this is a sweet spot that they are more than ready to abuse. The breach of very sensitive data has been a huge problem for businesses and individuals. The reported number of attacks is alarming, and this is what quantum computing is trying so hard to mitigate. The rise in the number of data breaches in modern society is nothing comical. However, there exist ways in which individuals and agencies can prevent these breaches. Quantum computer data encryption is a technology that can be used to safeguard your sensitive information. This technology started as a simplistic code in World War I, which now is a sophisticated algorithm that lets you, store and transfer data online. The encrypted data is known as ciphertext, and can only be decrypted using a password or a key. Encryption does not guarantee a foolproof way of data safety, but what it does is that it makes data theft more of a difficult task for cybercriminals. 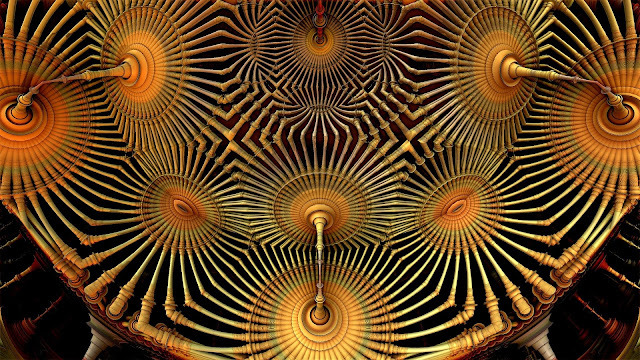 Below is a list of the benefits of using quantum computing for data encryption. Quantum Computing Data Encryption Is Safe At All Times. It is a common thing that data is more vulnerable to breach when being transferred from one location to another. With quantum computing, encryption works at all time; when the data is at rest or in transit, it warrants maximum security. This, therefore, is an ideal solution regardless of where the data is stored or how the data is used. As a standard safety procedure, any data should be encrypted irrespective of whether or not it is considered vital. If your information is stored by an organization, then it’s a standard requirement for compliance that your data be encrypted. All the organizations follow specific protocol when storing sensitive data and encryption is at the forefront of this. With encryption, businesses can achieve comprehensive data security. In today’s society, multiple devices (mobile phones, tablets, and smartwatches) have become an integral part of our lives. With that being said, data security across these devices is paramount especially when transferring information. Quantum computing encryption technology can help protect stored data across all devices. Additionally, data in transit from one device to another can also be safeguarded with this technology, especially with advanced user authentication. Cybercriminals don’t only steal data; they can also alter information to conduct a fraudulent deal. Highly skilled hackers can manipulate encrypted data; however, the recipient of the data can easily detect the corrupt data. This quick detection of data corruption allows the user to respond quickly to the cyber attack. Quantum computing encryption helps in protecting sensitive information including personal information for individuals. This is very important in maintaining privacy and anonymity to limit surveillance by criminals and some government agencies like the NSA. In fact, this technology is very powerful and advanced that some government organizations are trying to curb its effectiveness. Hackers are becoming more sophisticated in their methods, and this means that the technology has to evolve as well. The latest encryption technology being worked on by specialists is known as quantum computing encryption. Quantum computation and key delivery create unique sequences which result in codes that are hard to break. Any attempt on interception barely goes unnoticed by the sender and recipient of the data. This is especially helpful as immediate action can be taken after any breach detection. Quantum computing can store data in multiple states, which translates to faster processing and calculations. If you found this article helpful, or if you want additional information on the same, please feel free to check on us again.